‘Daniel’ has severe physical disabilities, will never be able to work to earn a living and is dependent on others for all of his needs after he suffered devastating and avoidable brain damage at birth. 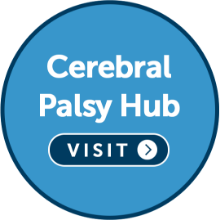 As a young child Daniel was diagnosed with cerebral palsy and after fearing his birth had been mismanaged, his parents contacted the cerebral palsy specialists at JMW Solicitors for advice. JMW conducted a thorough investigation and after the hospital trust admitted negligence, Daniel was awarded £25 million in compensation to cover the cost of the lifelong care he requires and to provide him with financial security. Years before the case finally settled JMW obtained significant interim compensation payments that enabled his family to purchase a house which was adapted to meet Daniel’s needs including the construction of a hydrotherapy pool. Daniel’s mother Amy enjoyed a healthy pregnancy but when she went over her due date she was booked in for an induction at her local maternity hospital. Amy attended for the induction and a CTG trace was attached to her to monitor the baby’s heart rate. The induction began with the insertion of a pessary. However Amy’s labour progressed slowly and a second and third pessary were administered over the next few hours. Maternity staff continued to monitor the baby’s heart rate with CTG tracing. The Syntocinon did speed things up but it still took to 7.30am for Amy to be 5cm dilated and until after 3pm to reach 9cm. However it was during the course of this progress that abnormalities started to show with the baby’s heart rate, indicating that he was starting to become distressed. Unacceptably these signs were not picked up by maternity staff, who also did not ensure that the CTG trace was continuously attached which meant that readings for the baby’s heart rate were absent at times. This should not have happened as induction of labour requires careful monitoring. The worrying signs of distress continued but despite this a doctor requested that the Syntocinon dose was doubled in a bid to get the baby delivered. Following this the baby’s heart rate dropped to a very low level but still maternity staff did not take action to ensure he was delivered before he was injured. An emergency caesarean section in response to the signs of distress would have avoided the prolonged oxygen deprivation that he suffered. However doctors wrongly allowed the labour to progress without intervening. When Daniel was born there were no paediatricians present because they had not responded to the midwife’s calls. He was in a poor condition and spent the next week on the special care baby ward. Scans later revealed damage to his brain and as he grew he showed significant physical abnormalities and was later diagnosed with cerebral palsy. Daniel cannot walk, has poor control of his upper body and is reliant on a wheelchair. His speech is also poor and he will be dependent on others for all his care for the rest of his life. Daniel is however bright and this leads to significant frustrations as he is very aware of his physical limitations. Nothing can turn back the clock and undo the damage that was done, however, the specialist cerebral palsy solicitors at JMW were successful in obtaining an admission of negligence from the hospital trust and £25 million in compensation so that he can have the best possible quality of life.